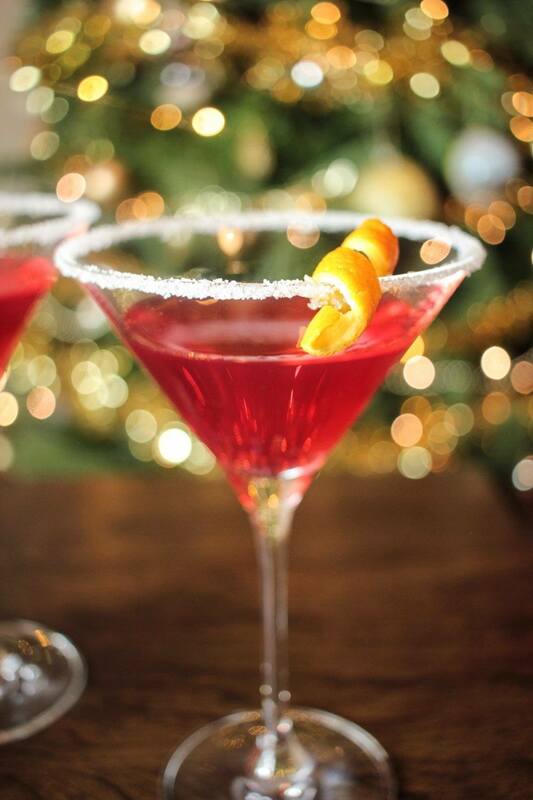 This martini is so simple to make but looks and tastes fantastic! Give it a go and impress your friends and family on Christmas Day. Cut a segment out the lemon and run it round the rim of your glass. Pour a mound of sugar onto a plate and lay the glass sideways into it, spinning slowy to coat. Add the Cointreau, amaretto and vodka into the cocktail mixer followed by the cranberry juice and a small handful of ice. Shake for 20-30 seconds and then pour into the glass. Add some orange peel for decoration, serve and enjoy!